Newcomers can sometimes find themselves off the pace when it comes to Formula 1 betting. With the favourites so often coming out on top in a sport that relies heavily on technology, picking a worthwhile winner can be difficult. Mercedes and Red Bull have dominated the podium positions throughout the 2014 season, but with the spread of quality across most other teams being much more even, there’s plenty of money to be made away from the 'outright' markets. The 'podium finish' market gives you a much better chance of cashing in on a rank outsider set to defy expectations, spreading your bet in exchange for shorter odds. However, just ten different drivers have finished on the podium in the 16 races so far this season. This means that the margin for error is still slim – only four of the ten could be considered genuine underdogs – but there are ways of spotting a big performance to come from a low ranking driver. Form is so often a major factor in sports betting, and momentum shouldn’t be ignored when it comes to Formula 1. Lewis Hamilton has looked unstoppable since rebounding from his collision at the Belgian Grand Prix last season, while his teammate Nico Rosberg struggled to catch the Brit after being called out on the controversial clash. 2013 champion Sebastian Vettel also seemed to have hit a purple patch with back to back podium finishes in Singapore and Japan, before plummeting to eighth in Sochi. 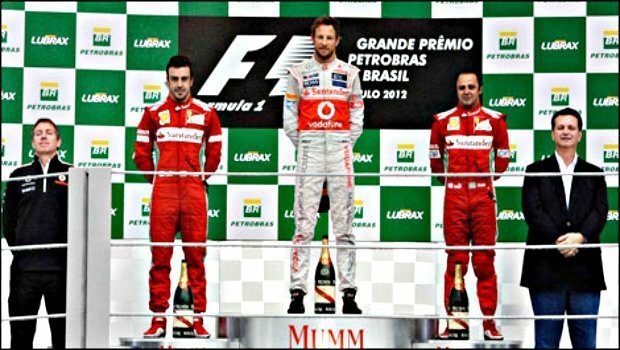 The track that plays host to each Grand Prix is a much more reliable indicator when picking a podium finisher. The most difficult courses tend to favour the best drivers from the top teams; it should be no surprise that Rosberg, Hamilton and Ricciardo regularly finish ahead of the rest of the pack. Notoriously, the Circuit de Monaco is one of the most difficult in the Formula 1 calendar, with 18 turns crammed into each 3.34km lap. Underdogs have performed better in recent years at Melbourne, Sakhir and Monza – comparatively easy tracks with fewer corners to negotiate. Timing is also important when considering your strategy for Formula 1 betting, because odds will fluctuate rapidly as each race weekend draws closer. If you choose to bet early, you’ll find that the odds closely reflect the overall standings. This means that spotting a ‘false underdog’ before the bookies is key to making a big profit. There’s no substitute for studying the stats when it comes to Formula 1 betting, so make sure you know each circuit just as well as the drivers. For all the latest odds and available markets, visit 888 Sports today!